I read a wonderful post recently from Lauren over at Happily Ever Elephants and it made me want to do something similar by writing about why I started my blog and where my motivation to write comes from. We have to look back to when BookBairn was just 6/7 months old and we had found a rhythm to our days - she didn't sleep all night but I wasn't quite so exhausted, she didn't need to be in my arms every minute of the day and miracle of miracles she was a good napper. So I needed something to fill the couple of hours that she slept. And since I had only just discovered the world of blogging in a sleep deprived haze, reading blog post after blog post during the late night feeds, I thought I would find an outlet and create my own little corner of the internet to record my random thoughts and musings. But I'm not amusing. So I can't write a funny blog. And I don't want to share too much of our daily lives on the internet, protecting my family's privacy and respecting that I don't want to overshare my kids foibles and my own wobbly moments. That's just not me. So why books? They say write about what you know. So that's where I started. I have always been a keen reader and teaching literacy (and weaving everything else around stories) at school was my favourite thing. So I knew I would want to raise a reader in BookBairn. She would be surrounded by books and stories. Because it was good for her developmentally and because it is magical to sit with your children in your lap, or curled up in their bed and share a perfectly crafted story. Ones that they love and one that you love. 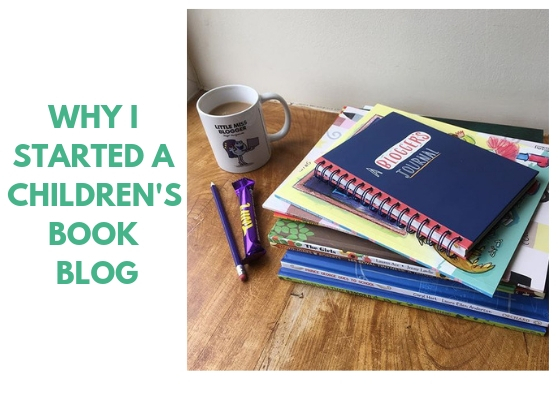 I just wanted a diary of sorts of the books that we enjoy most, which is probably why my Little Loves posts are my favourite ones to write as well as Favourites Shelves Round-Ups. It didn't start as a crusade to promote a type of book - though you know I'm passionate about books that are great for the classroom, star mighty girls and genteel boys as well as diverse picture books and books that share our values. I was fascinated by the idea of an Intentional Bookshelf as Sam over at Addison Reads coined it. About sharing books that reflect your values. And I suppose it might then seem like the blog is promoting something in particular, but that's not the main intention. I share the books we love and those books reflect our values. Yes, I want more kids reading. Yes, I want parents to be able to find and choose really good books. And I think we recommend good books. But it's not a one-size fits all is it? You need to fill your children's (and your own) bookshelves with books you value. So I guess that's why I started blogging and why I chose books. It's not profound. I'll be honest I hoped that we might get sent some free books by publishers so that I could fund our book habit with a passion project! And of course we are lucky enough now to work with most big publishers as well as many many smaller ones. And for that I'm incredibly grateful. 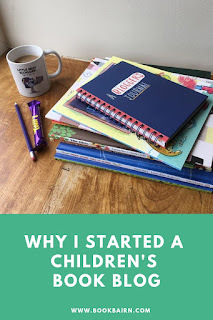 Writing my blog is an outlet whilst I'm a stay-at-home mum. It keeps my brain active and busy whilst I don't have work to stimulate my brain (as someone once put it to me). And I simply want to share and recommend really good books without an agenda. Ones that we actually enjoy. It's how you know that when we recommend something it's because we really love it. And I will keep at it because it makes me happy. And I will enjoy looking back on all the lovely photos and stories we shared when I'm old and my kids are grown and when they have children of their own to read to. So there you have it. That's why I blog. The rambling version. I want you to keep at it too because I think it’s a lovely thing to do and it also makes me happy. I don’t have work to stimulate my brain either so reading the blog and making comments helps keep the old grey matter from freezing up. It’s a great blog. Well done and good luck. Who knows where it will end up. Thanks Dad! Your support in this and everything else means the world! I think it's hard when it's lifestyle isn't it because it's so broad but then there are advantages too as there's so much more to write about. I occasionally find myself a bit stuck in a niche. I guess there's good and bad things about both but mostly I think write what you love and write what you know. It's definitely exciting to feel like you are getting little bonuses from something you love - like free books. And also to be take seriously like getting invited on blog tours! Thanks Michelle! Was a fun and easy post to write in many ways too! Thank you! Perhaps everyone needs a post like this on their blog! I started mine (9 years ago this summer!) because I wanted to write books but it has ended up a book-parenting-food blog instead. I'm often relieved that I picked a fairly generic name so it doesn't really matter what I write about! That's true - I'm probably a bit stuck with books but for the moment I don't mind and it works for us. Thanks very much - I'm grinning like a cheshire cat at that! Thank you so much! And lovely to make friends through them!